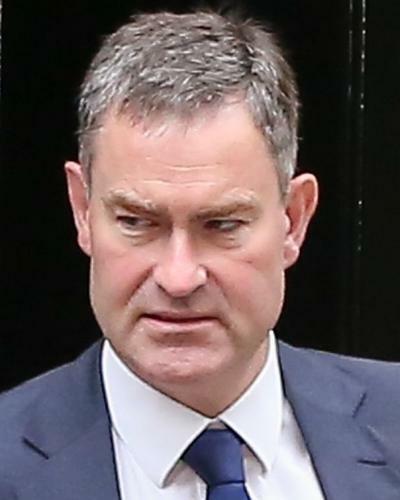 Work and pensions secretary David Gauke has suggested that the universal credit rollout will continue despite warnings from Conservative colleagues that the social security system overhaul should be delayed. A dozen Tory MPs have raised concerns with Gauke’s department that claimants were being forced to use food banks because of the mandatory six-week wait to receive money. Speaking at a Conservative conference fringe event, Gauke gave a clear hint there would be no delay in the rollout, planned for next week, suggesting people needed to be more aware that they could claim emergency advance payments instead of waiting for six weeks. Gauke said almost half of all new claimants were now asking for payments in advance because they were unable to wait six weeks, up from just under 40% in April. “That’s good news,” he said at the HuffPost event. Earlier this week, 12 Tory MPs, including the prominent backbencher Heidi Allen, wrote to Gauke calling for the rollout to be paused over fears about the impact on claimants already receiving universal credit in trial areas, according to the Daily Telegraph. Signatories to the letter included Andrew Selous, a former parliamentary aide to one of Gauke’s predecessors, Iain Duncan Smith. Allen spoke out in the Commons earlier this month to call on the government to “slow down a little bit and get it right” after figures showed that about one in four new claimants waited longer than six weeks to be paid. Gauke said he had “spoken to a number of colleagues about this” and said he understood why people were worried about the wait, but suggested they had been mollified by the reported uptake in the advance payment system. Universal credit was introduced in 2013 to simplify the social security system. The number receiving it will rise sharply next month when the rollout is accelerated to 50 new areas before being fully implemented by 2022.